Cabaret Voltaire 101 is a theatrical reconstruction of the birth of the Avant Garde artistic movement Dadaism in 1916. The original themes of war, social unrest, racial suspicion, poverty and political upheaval will be explored in a modern context. 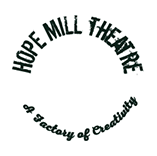 For three consecutive evenings at the café bar at Hope Mill Theatre, Manchester, CV will celebrate the 101st birthday and legacy of dada by reproducing original texts and and creating new works to be made by emerging and early career artists. In support, mid-career experienced performers will mentor and guide the creation of these pieces. Simultaneously, a visual art exhibition in the café bar space will be produced.